Law and Lawyers: Lord Chancellor was "completely and utterly wrong"
"There has been a good deal of discussion already in social media about the requirement that the new incumbent must be able to serve for at least four years in the post before he/she, too, reaches the statutory retirement age of 70. From my knowledge of the responsibilities of the higher judiciary, this requirement seems to be nothing more than common sense. This is a huge job, with huge responsibilities, and in my view it – and some of the other very senior judicial offices – needs and deserves a greater degree of continuity in the identity of the office-holder than has been evident in recent years. A glance at the job description makes this blindingly obvious. Ideally, a minimum term of eight years would be about right, if a suitable candidate in his/her late 50s or early 60s could be found." It is clear from committee's evidence session that the Lord Chief Justice has enormous administrative responsibilities apart from the time necessary for sitting in court on difficult cases and preparing judgments. 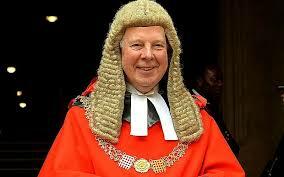 It is also clear from the session that the new Lord Chief Justice will have a a massive in-tray of pressing matters to deal with and this is against a background of what is, according to Lord Thomas, a Ministry of Justice in which people with experience have gone as resources have been reduced. It is clear that there is a pressing need for a new Lord Chief Justice to be able to offer continuity at a time of immense change. Over the next few years, Brexit may come, as Lord Thomas said, to dominate everything and clearly the legal world will face enormous challenges including maintaining the pre-eminence of London as a legal venue of choice for commercial dispute resolution (whether litigation or arbitration). The committee session is worth watching in full. Lord Chief Justice questioned in annual session with committee.